Absolute Chiropractic & Rehab's Business of the Week program is another opportunity to show our appreciation for businesses in Bedford, Colleyville, Euless, Fort Worth, Hurst, and North Richland Hills. Chase Bank is one of the leading financial firms well known for the wide range of banking services it provides to millions of customers all over the world. These services include investment banking, small business and commercial banking, asset management, financial services for customers, private equity and financial transaction processing. For all your banking needs, visit your local Chase Bank in Hurst, TX. Congratulations to Chase Bank, Absolute Chiropractic and Rehab's Business of the Week! Volcano's Sports Bar & Grill is the place to go for great food, great friends, and great fun! 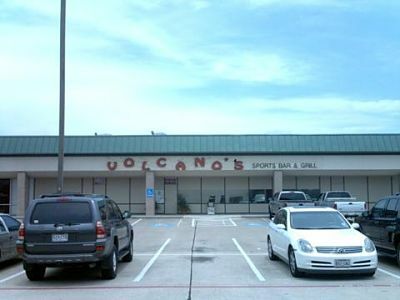 Conveniently located in Hurst Texas, Volcano's is a great spot to come play a game of pool, shoot some darts, kick some shuffleboard bootie, or just kick back and have some laughs with your friends while you watch your favorite team. You can also admire our selection of sports collectibles and memorabilia scattered throughout the establishment. If you find one you HAVE to have on your own wall at home, then just go ahead and take it....they are all for sale! Our food menu is out of this world! You will come back time and time again to experience our wonderful food! Volcano's Sports Bar & Grill is loaded with great people, great food, and a whole lot of fun, so come join us for the time of your life! Congratulations to Volcano's Sports Bar and Grill, Absolute Chiropractic and Rehab's Business of the Week!